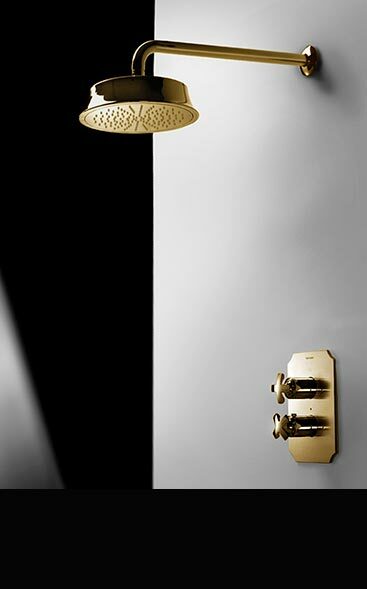 Livinghouse are suppliers of designer shower fittings chosen for its good contemporary design and luxury build quality. 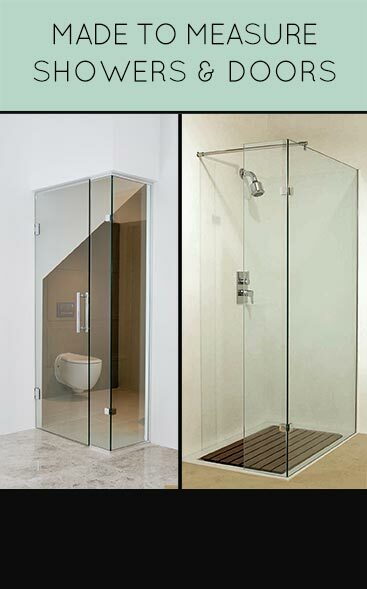 We can supply frameless shower enclosures, walk in showers and wet room glass partitions, shower glass panels and wet room screens and frameless shower doors in 8mm or 10mm safety glass. We have a beautiful collection of steel and stone resin shower trays in white, black, grey, cream and other contemporary colours with waterproof shower wall panels to match. Our luxury shower trays are in low, slim and flush to the floor styles with round, square and long channel drains. We also have a full range of designer shower brassware available including shower heads and adjustable slide rails, multi-function shower coloumns and body jets and to compliment we have manual and thermostatic shower valves and powerful shower pumps. For the difficult bathroom situations we offer a bespoke service where we can manufacture bespoke shower trays, made to measure shower enclosures and custom made shower doors. 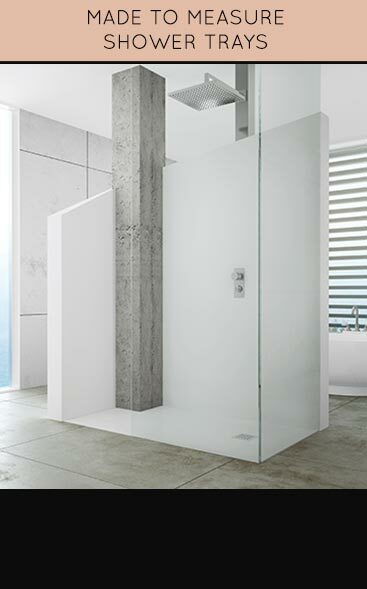 A collection of luxury shower enclosures for designer bathrooms. 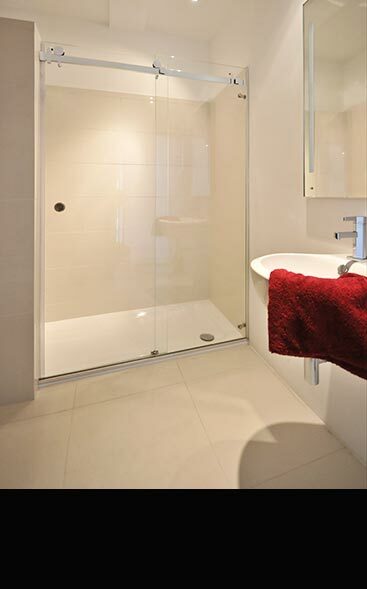 Our glass showers are manufactured in market leading 10mm glass and frameless in design. Our frameless shower enclosures are luxury quality in corner, 3 sided, quadrant, pentagonal and walk in enclosures styles. We can made bespoke shower enclosures to custom sizes in clear, frosted and tinted glass with chrome, gold, nickel and stainless steel fittings. Suppliers of 8mm, 10mm & 12mm wet room glass screens, glass partition screens with hinged splash deflectors & fixed wet room screens, all in toughened safety glass. 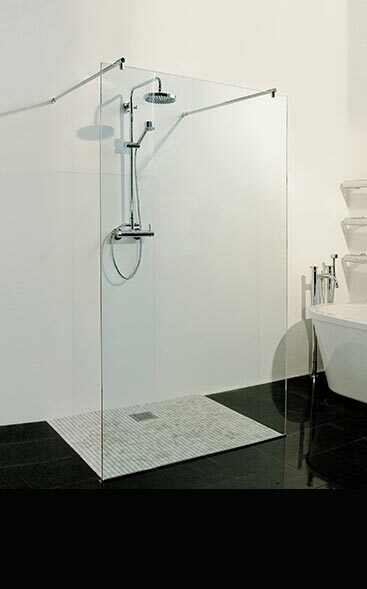 These walk in glass shower screens gives rigidity & greater perceived luxury quality. 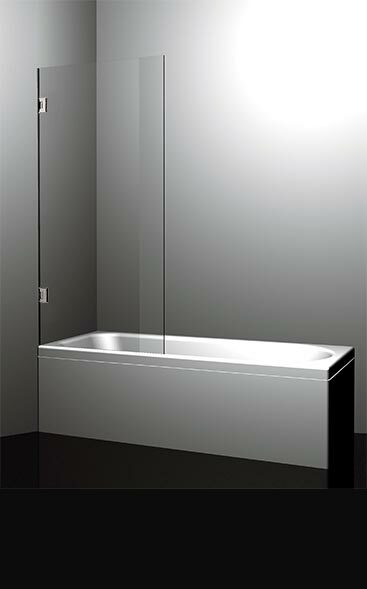 Our wet room frameless glass partitions are in straight & curved glass, in walk in enclosure styles. We supply tinted & frosted glass with shower fittings in chrome, gold, nickel & stainless steel finishes. Suppliers of shower wall panels, wet room wall panelling & wall panels for bathrooms. These large single sheet waterproof wall panels can be fitted without unsightly edging profiles and are completely waterproof and steam proof from front to back, unlike its inferior laminated versions. In many colours including white, cream, beige, grey, chocolate brown & black. A luxury supplier of contemporary frameless shower doors which are ideal for designer led bathrooms. Our shower doors are supplied in 8mm and market leading 10mm toughened safety glass giving extra strength and visual luxury design. Within our designer glass door collection we supply pivot opening, sliding and folding shower doors all available in many sizes and styles. Suppliers of superb quality recessed shower doors in frameless and semi-frameless designs. These luxury shower doors are designed to fit between two walls. 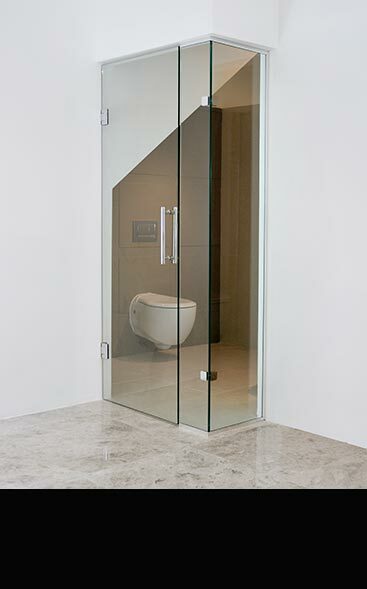 We offer recessed shower partition doors in several styles including pivot, sliding and walk in designs plus with an added inline side glass panel the door becomes a contemporary shower wall partition. 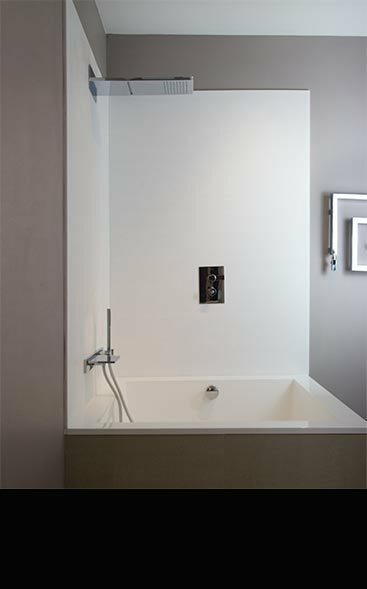 Livinghouse supply contemporary folding bath screens and luxury bath shower screens in the latest frameless glass designs for mounting over the bath rim. These over bath shower screens are supplied in 6mm, 8mm and 10mm safety glass with options of a frosted etched glass finish for privacy. A superb collection of designer shower trays in white and the coloured tray finishes of black, cream, grey, beige, grey and chocolate brown. 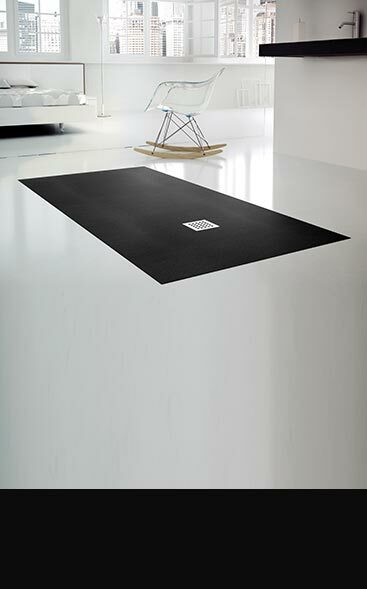 These exclusive shower trays are selected for their low and slim design and the many size combinations from small to large in square, rectangular and quadrant shapes. Bespoke sizes of low and flush shower tray available to special order. We can supply bespoke made to measure shower trays supplied to your own custom sizes and colours. These custom trays can be supplied with a low level rim or as a totally flush shower tray for a wet room or walk in shower situations. This service is offered to special order with the tray usually supplied within 3 to 4 weeks. Livinghouse offers a designer range of shower heads in the latest European styling. Within this collection we have fixed shower heads for wall mounting, ceiling mounted shower heads & adjustable handheld shower heads on a slide rail. To compliment we have powerful body jets for installing a shower jet system. Our shower heads can have chromotherapy lights, waterfall spouts and rainfall spray patterns. We have shower fittings in silver and black chrome, gold, nickel & copper plating plus stainless steel, antique brass & black painted finishes. A quality range of shower columns and multi-function shower panels for design led and luxury bathrooms. Each powerful shower column is supplied with a large overhead shower with a choice of round, square and rectangular styling, an adjustable slide rail for a handheld shower head and with or without body jets. These shower columns can be supplied with thermostatic or manual shower valves, plus for the latest technology we offer an electronic wave sensor version. 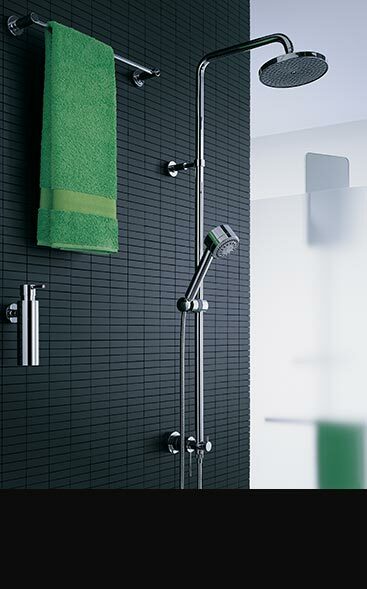 Our showering systems can be supplied in chrome, stainless steel and black or white glass. Quality European shower mixer valves in manual, thermostatic & electronic sensor versions. Our reliable shower controls are available with single and 2, 3 & 4 way functions so a multi-function shower can be installed. We supply surface mounted & concealed shower valves which are recessed and built into the wall. Our shower valves are available in the finishes of silver and black chrome, gold, nickel & copper plating and antique brass plus brushed stainless steel and black finishes. UK suppliers of high quality shower baskets, shower storage, waterproof folding shower seats and the latest luxury and designer shower accessories. We believe our showering accessories are the very best quality available and we have been selling these fittings for over 10 years now and have never had one single quality or corrosion warranty claim. For something that spends it life submerged in water that is not just re-assuring but impressive. Suppliers of German and Italian shower seats and shower folding seats which are easily folded away for contemporary wall mounted. These wall hung shower accessories are extremely strong and built to be rugged and long lasting. Each waterproof seat is made in corrosion free brass with chrome plating or stainless steel and offered with long guarantees for peace of mind. Best quality shower seats available. 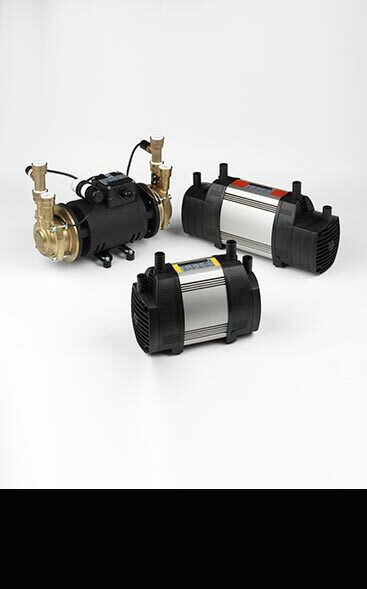 Powerful well made shower pumps that are very quiet and long lasting. Our pumps can be supplied with positive and negative heads with twin water impellers giving a powerful showing experience. Livinghouse supply a fast design and manufacture service of bespoke showering equipment. Within our collection we can supply * Made to measure shower trays that are made to your exact bespoke requirements with each custom shower tray is available in many colours. * Custom shower doors made to measure to the exact bespoke door requirements. Each glass door can be made in clear, frosted and tinted glass. * If you require a bespoke size shower enclosure because of limited space or a sloping ceiling or just because you want your own design, then Livinghouse will make a made to measure shower enclosures to your exact bespoke size requirements. Each custom glass enclosure can be made in clear, frosted and tinted glass. Please view our beautiful collection of Italian, British and European shower fittings and complimentary shower accessories. All our showering equipment is selected for its high European quality and latest contemporary styling. We can supply everything required, including the shower enclosures, shower doors, glass wet room shower screens, waterproof wall panels and shower trays, plus all the matching shower brassware including shower heads, manual and thermostatic shower valves, multi-function shower columns and shower accessories.